The original task for this project was, quite simply, to design a birdhouse. Naturally, I started with some user research, and discovered interesting opportunities in a state near and dear to my heart: Colorado. The current bark beetle outbreak in Colorado has cost the state millions of dollars in damages and killed thousands of acres of old-growth pine forests. Once a tree is infested, there is little one can do to save it, and spraying preventative insecticides is not only expensive but also uses Carbaryl and Permethrin, which have been shown to have moderate to severe toxicity levels for humans. What if there was a healthier way for people to naturally protect their trees that was also beneficial to the ecosystem surrounding them? This little guy is an indicator species for the health of old-growth pine forests. While the pygmy nuthatch is not endangered, it is vital to the monitoring of pine forest health, and relies on these habitats for its food and shelter. They are gregarious, friendly birds that roost in large groups, all huddled into various shape configurations to stay warm in the winter. Their diet is primarily insects, including the bark beetle. What if you could attract birds like these to help prevent beetle infestations surrounding your home sanctuary, and thus avoid having to resort to expensive and toxic chemical measures to protect your trees? 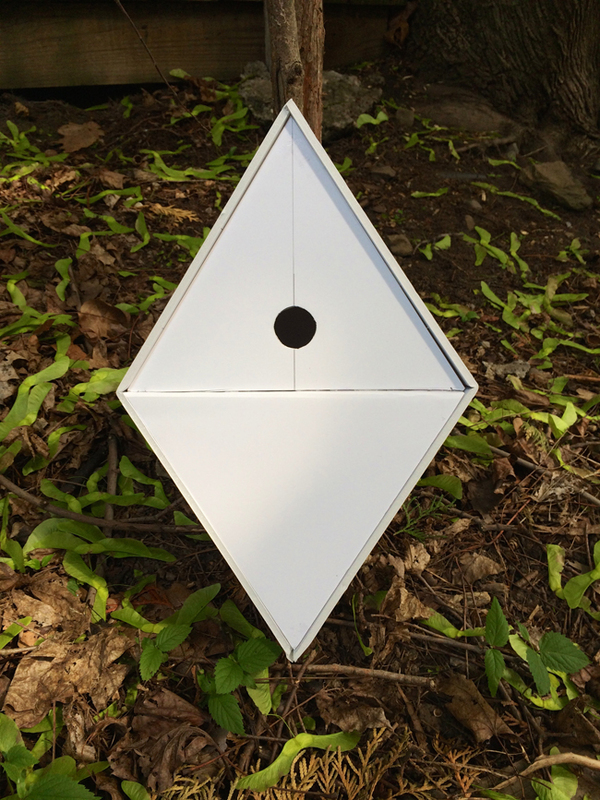 The design needed to be configurable to the season, since pygmy nuthatches do not migrate. I also wanted it to be a distinctive look so that the birdhouses had the branding power of many national park and forest conservation campaigns, recognizable from afar that this was part of a natural bark beetle prevention program. The diamond shape was inspired by the peculiar roosting patterns of the pygmy nuthatch, which can huddle in close quarters all on top of each other in order to keep warm. The final product is intended to be made of locally sourced beetle-kill pine, known for its unique striations of grey and brown wood grain. The smaller hole (top, right) is used in the winter months in order to keep as much cold air out as possible. Once summer hits, you can flip the cover to expose the larger hole, which provides greater ventilation, and enables the birds to use the home year-round. "In concept, a nest box to attract insect eaters to control an invasive insect pest (all while benefiting the birds themselves) is a great idea."